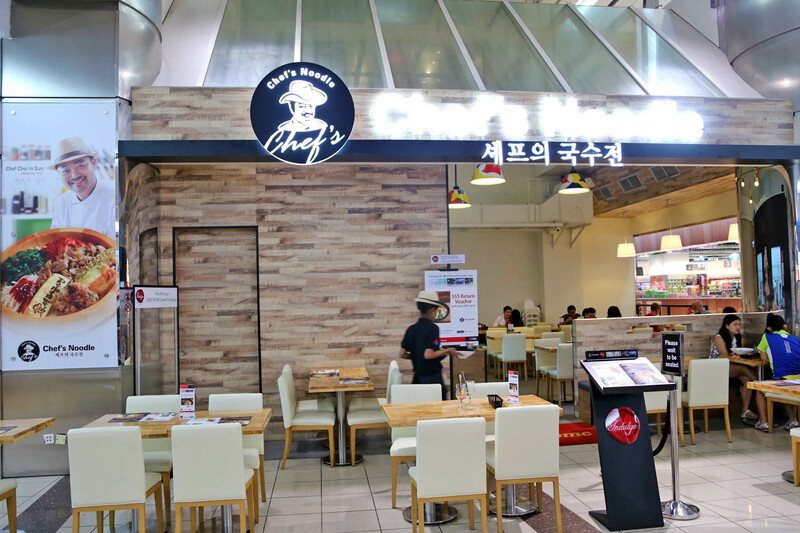 When the words “Korean-Japanese”, “noodles”, and “celebrity chef” combined, I knew I had to check out Chef’s Noodle somehow. 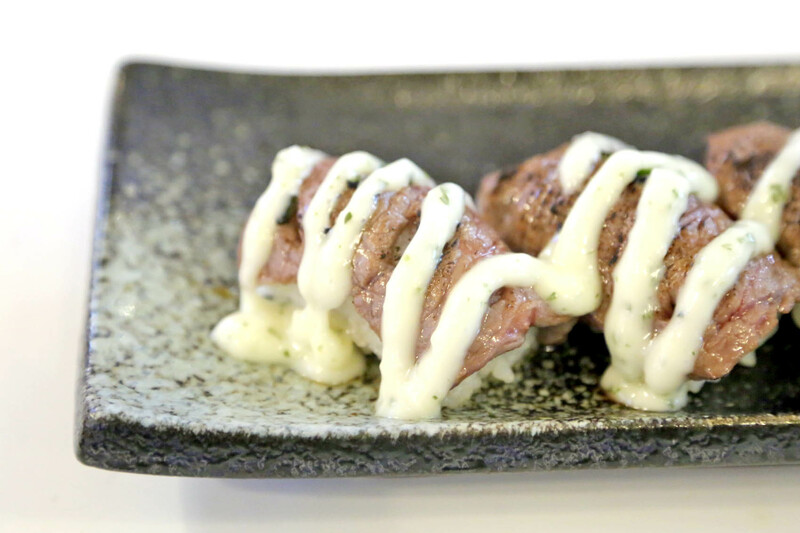 This Korean-Japanese fusion cuisine which just arrived in Singapore, looks set to create some buzz. 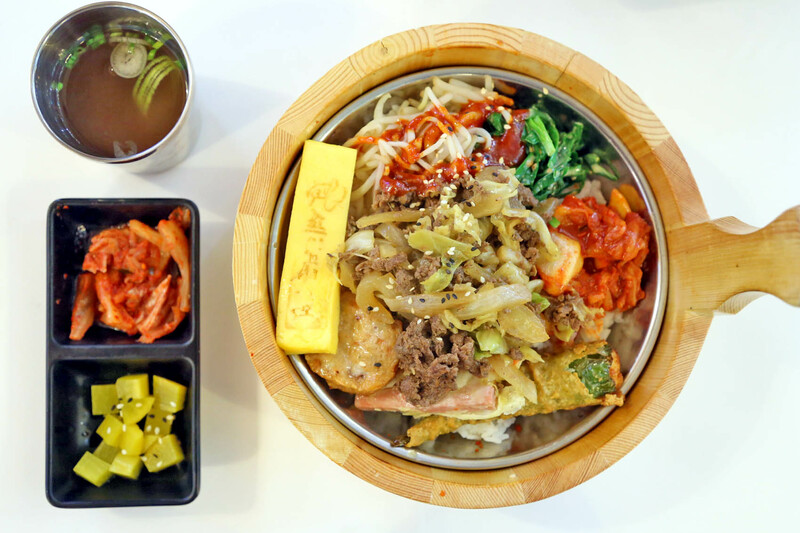 The menu is not the conventional Korean traditional restaurant style. The food is modernised by Korean Celebrity Chef Choi In Sun (sorry but I do not know who he is), known for his Korean food show “The Starking Series” and fedora hats. The signature is a Chef’s Guksoo ($13.90) which is kind of ramyun meets ramen, yet with its own unique quality. 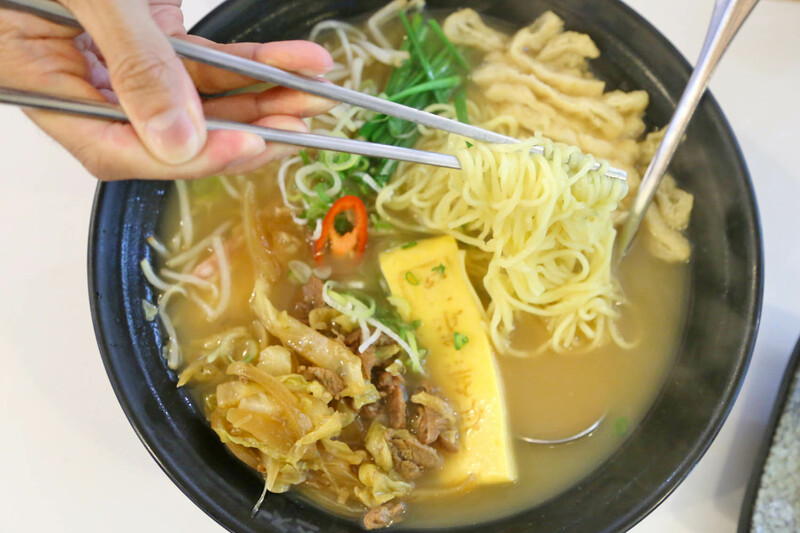 The broth is an off-white light savoury- sweet flavoured beef broth, spicy but not the type of intense Korean-spicy you would have otherwise expected, and topped with stewed pork bulgogi, vegetables, and a signature rectangular egg-roll. Which is really the sweet Japanese tamago found on sushi. While I was expecting something more al-dente and springy, the noodles were thin and soft textured (nua nua), and needs some getting used to. There are other varieties with toppings of deep-fried beancurd, skewered fishcake, deep-fried stuff pepper (nice), seafood dumplings, pork belly and spicy pork. 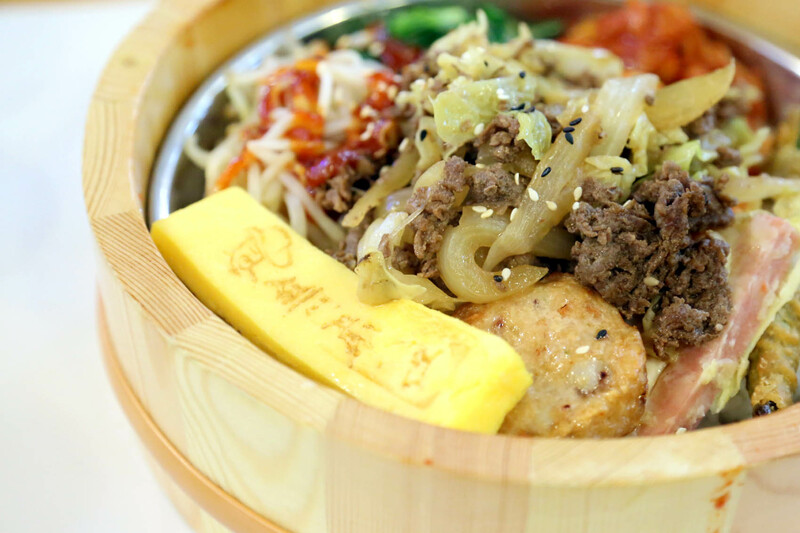 Chef’s Noodle other popular dish is the Daehan Deopbap Rice Tub ($14.90). This is like healthier take to bibimbap without the sizzling hot stone bowl. I enjoyed the combination of ingredients, which included sweet sautéed Bulgogi Beef, crisply battered stuffed ‘gochu’ (red pepper), seafood ‘wanja’ (meat patty) and the egg roll. You figured that Chef Choi probably put some thought in each and every one of the item. But the rice was lukewarm at best, and would have make perfect comfort food if the rice was steaming hot. 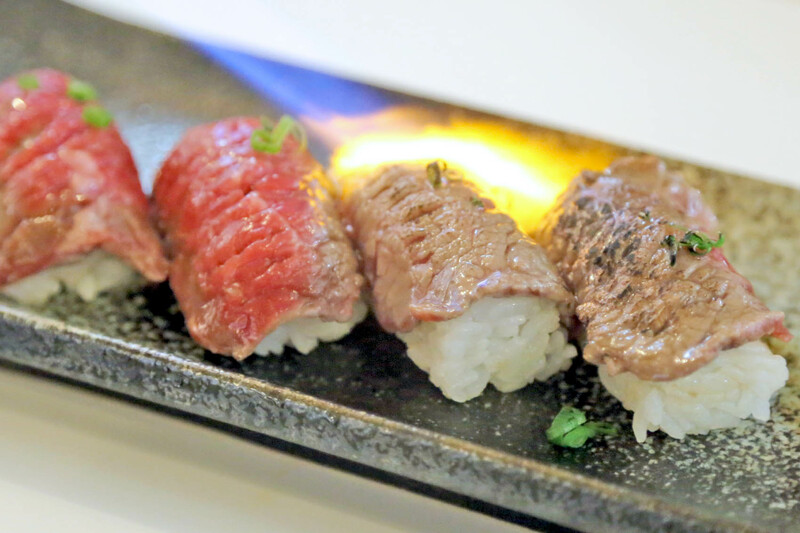 The must-order is both the gimmicky and delicious Stakling Fire Sushi ($6.90), popularized in chef’s Korean food show, where thin slices of Australia beef is flambé on the spot, and drizzled with garlic-mayonnaise sauce. Do I like Chef’s Noodle? Well, kind of. It’s different. It should appeal to working executives for reasonably price and healthy tasting food, though execution can be perfected. I prefer it warm.